Speaking of things adding up, there is no investment strategy anywhere that pays off as well as, or with less risk than, merely paying off all high interest debt you may have. Many people have wallets filled with credit cards, some of which they’ve “maxed out” (meaning they’ve spent up to their credit limit). Credit cards can make it seem easy to buy expensive things when you don’t have the cash in your pocket - or in the bank. But credit cards aren’t free money. Don’t use a credit card unless your debt is at a manageable level and you know you’ll have the money to pay the bill when it arrives. The same advice goes for any other high interest debt (about 8% or above) which does not offer the tax advantages of, for example, a mortgage. 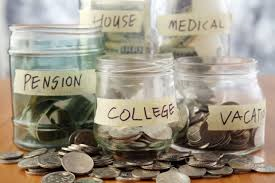 Once you have paid off those credit cards and begun to set aside some money to save and invest, you're in the savings habit!